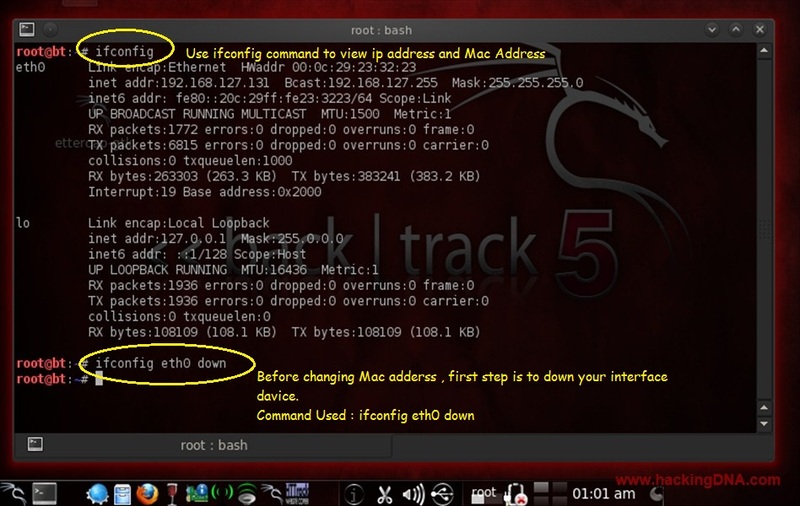 Is it possible to Spoof Mac address ? 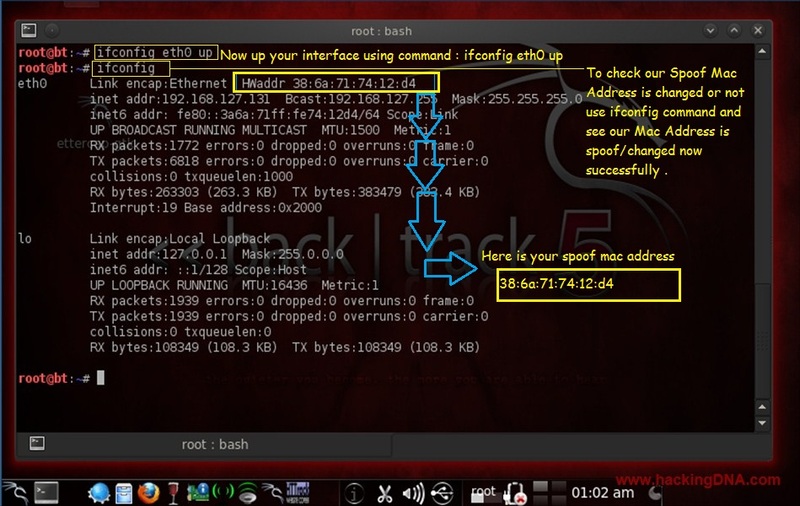 Which command we used to spoof it ? Vmware player or any virtual Machine. 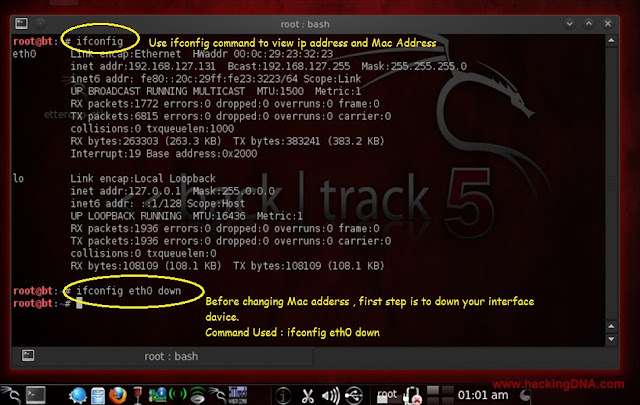 Step 1: Check Ip ,Mac address and Interface device : Use ifconfig command .